from San Francisco, CA were formed by Larry O. Dean (Malcontent, Post Office, The Me Decade, The Injured Parties) and Chris Lehmann (The Charm Offensive) with bassist Ned Doherty (All Ones, Penelope Houston, Mushroom). They recorded a series of cassette-only releases that were sporadically distributed, but which received glowing reviews in the US and UK press, as well as local radio airplay. 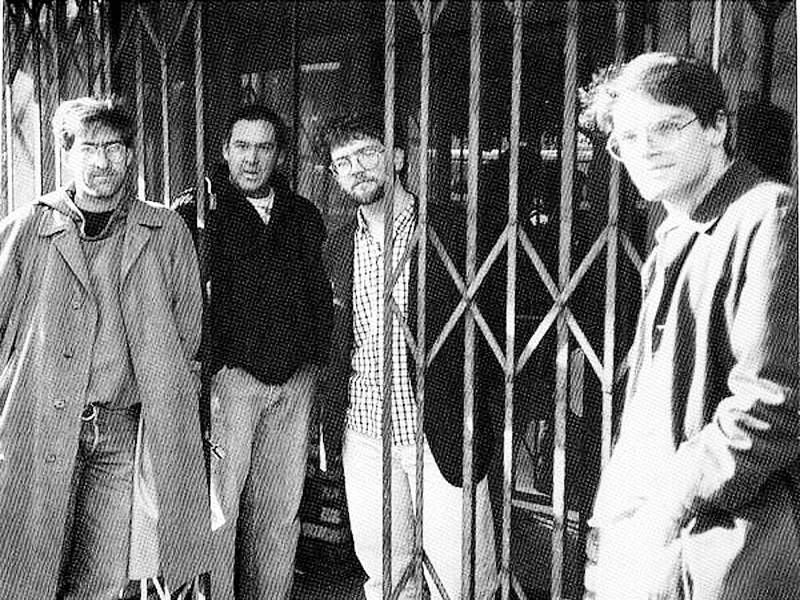 A full-scale re-mastering and re-issuing of the band's oeuvre kicked off in 2012. © 2019 The Fussbudgets. All Rights Reserved.